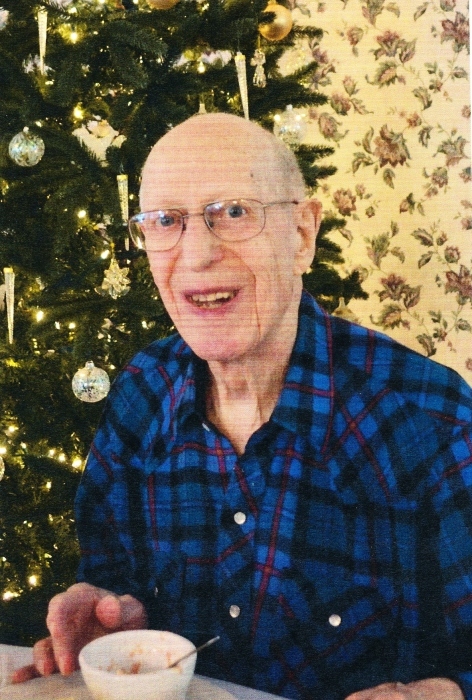 Of Spring Arbor went home to his heavenly home Monday, January 28, age 100, at Spring Arbor Assisted Living Center. He was born January 30, 1918 in Lansing, Michigan, to Henry and Fern Baker, and married Bertha Messeroll (also of Lansing) June 5, 1940. He was a minister with the Free Methodist Church for 40 years, serving in Louisiana, western Pennsylvania, and East Michigan. He attended Spring Arbor Junior College and Roberts Wesleyan University (BA 1959). Upon retirement in 1980, he was a faithful participant in Spring Arbor Free Methodist Church activities. He is survived by his children, Sharron Scott of Owosso, MI, and Beulah Baker of Upland, IN; three grandchildren--Eric (Traci) Scott, Esther (Daniel) Matthies, and Sandra (Mark) Hiar; six great grandchildren (Erica [Creighton] Halbert, Scott Matthies, Kendra Mathies, Kimiann Scott, Brandon Hiar, and Ariel Hiar); and his wife’s extended family. Preceding him in death were his parents, an infant son Clifford Barrett, his son-in-law Donald Scott, his wife Bertha--after almost 67 years of marriage, his sister Bessie Baker Morell Williams, and second wife of four years Helen Josephine Weaver Baker. A celebration of his life will be held on Friday, February 1, 2019 at 12:00pm at Watson Funeral Chapel in Jackson, Pastor Darold L. Hill officiating. Interment at Deepdale Memorial Gardens in Lansing. The family will receive friends at Watson Funeral Chapel on Friday from 11:00am until the time of service.